Lady and the Tramp is a 1955 American animated film produced by Walt Disney and released to theaters on June 22, 1955, by Buena Vista Distribution. The fifteenth animated feature in the Walt Disney Animated Classics series, it was the first animated feature filmed in the CinemaScope widescreen film process. 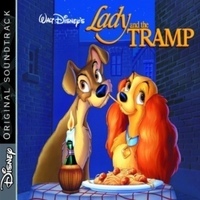 The story centers on an anthropomorphic female American Cocker Spaniel named Lady who lives with a refined, upper middle-class family, and a male anthropomorphic stray called the Tramp.